In Apr. 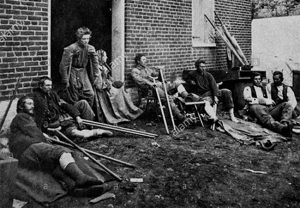 1863 the U.S. War Department created an Invalid Corps of worthy disabled men who were or had been in the army. 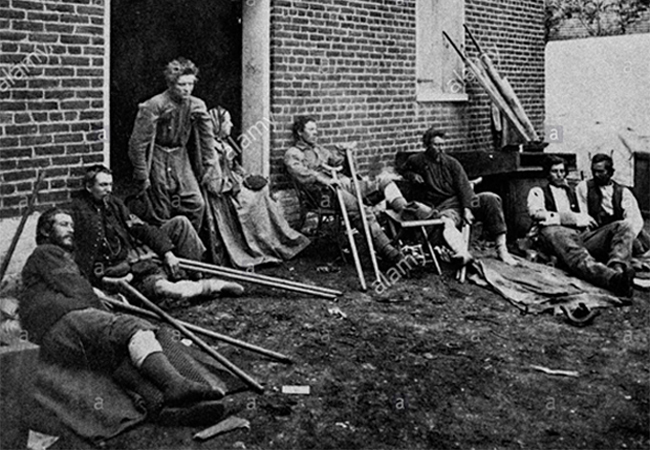 A great number of Civil War soldiers were disabled by weapons, disease, and accidents. Initially, the permanently disabled received medical discharges, but later remained in the service and performed noncombat duties, relieving other soldiers to fight. The title “Veteran Reserve Corps” (VRC) was substituted for that of “Invalid Corps” in 1864 to boost low morale. Between 1863 and 1869 more than 60,000 individuals served in the VRC organization and performed valuable services, including garrisoning fortifications, guard duty, and quelling the1863 Draft Riot in New York City. Invalid Corps collector and historian Bret Schweinfurth will give a timeline lecture on the Invalid Corps. Subjects include organizing the corps, enlistment, uniforms, medical conditions, duties, time in action, muster out, and post war duties. Select original Invalid Corps relics and documents will be on display. 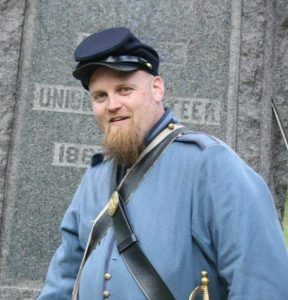 Mr. Schweinfurth started reenacting when he was 7 and began collecting artifacts at 16 – one of which was an Invalid Corps item. That started Bret on a lifelong pursuit of information on the Corps. Registration not required. Free and open to the public.